Allopathic medicine, also known as conventional medicine or pharmaceutical medicine owes its rapid growth and dominance over the last 85 years primarily to the nefarious activities of John D. Rockefeller, senior figure in the oil and energy cartel, and an almost forgotten criminal by the name of Morris Fishbein (yes, the name is real and it does mean “fish leg”). John D. Rockefeller, in the 1920’s, was looking to develop new markets for his oil. Beliefs that crude oil has curative properties lead him to, essentially, purchase outright the nascent pharmaceutical industry which was, at that time, a minor department of the agricultural chemicals industry with which it still has very strong links. 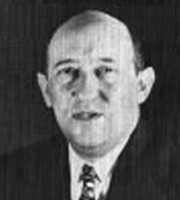 Fishbein took over as head of the American Medical Association in 1929. The AMA was, at that time, a relatively insignificant professional grouping specialising in pharmaceutical medicine. He instigated a system of licencing medication for use by the AMA practitioners and, essentially, selling licences to the pharmaceutical manufacturers. This activity enabled him to amass a huge personal fortune which he then used to viciously suppress all non-pharmaceutical treatments. Black propaganda, physical violence and even murder were all perpetrated in the cause of profit for the AMA and their pharmaceutical suppliers. Scientific comparison to show superiority was, even then, not an option as pharmaceutical medicine has always fared badly in honest studies. It was Fishbein who invented the term “Quack” to designate anyone who heals without a licence from him. The term, actually, comes from the german “Quecksilberei”, sometimes pronounced quacksilberei. Quecksilber is quick silver also called mercury - one of the deadliest nerve poisons known to mankind. Although the appellation was thrust upon non-pharmaceutical health practitioners, it has only ever been pharmaceutical medicine which has injected their patients with mercury or put it into their teeth (amalgam). Even today, millions of people daily receive a present from the pharmaceutical industry of a dose of mercury which is contained in almost all so-called vaccines. It is this which is the prime cause of the autism epidemic sweeping the world wherever vaccination is introduced. On this vein, it is worth noting that allopathic medicine is the largest single cause of unnatural death throughout the First World. Pharmaceutical medicine kills more people each year than heart disease and cancer combined. It maims more people each year than have been injured in wars over the last ten years. In the attempt to prevent this becoming public knowledge, the owners of the pharmaceutical cartel have quietly bought up almost the entire newspaper, television and radio industries over the last few decades and censored all information which might lead to reductions in pharmaceutical sales. All of this information and much, much more is, of course, available for anyone, themselves, to research. Please take care when using Wikipedia, however, as the pharmaceutical cartel has invested a great deal of resources into hijacking Wikipedia for pharmaceutical propaganda. In Germany and the USA (I simply do not have statistics for any other country) more doctors leave pharmaceutical medicine each year and re-train in homeopathy, traditional Chinese medicine, naturopathy and other modalities than are being trained by the pharmaceutical controlled medical schools to replace them. If those on the front line of health care with the most detailed daily knowledge are saying a big NO to allopathic medicine then, maybe, you should take note. In short, pharmaceutical medicine is not about health. It is about making billions in profits for the pharmaceutical manufacturers and their friends. This is why it is so very expensive and so very ineffective.